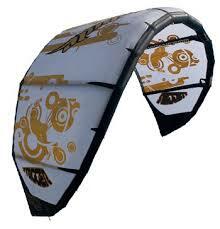 We sale new and second hand kites at the best price, come and try them out before, in the best spots of Tarifa. From the introduction of Blade Kites in 2005, the dedication and expertise of our team riders and designers have set towering standards in the kiteboarding industry. Driven by an undeniable passion for the sport of kiteboarding and guided by years of experience in designing, repairing, and riding kites, Blade was founded with the vision of developing kites and accessories. Never satisfied, the Blade Team continues to develop technologically advanced models and perform extensive R&D. We believe that every rider will be given the chance to realize their maximum potential with a kite that meets their specific needs. More importantly, we have implemented novel development techniques to reduce production costs without sacrificing our critically acclaimed performance and quality. From the design team to the management department, Blade is made up of fanatical riders who recognize the importance of directing resources to benefit the priorities of riders. Blade Kites is privately owned and service oriented with "Built-To-Last" traditions, impressive warranties, and personal client attention. Here at Blade, we know that kiteboarding expenses can run high so our focus has always been to develop extraordinary kites at extraordinary prices. You will discover all about kiteboarding, kitesurfing equipment, new and second hand, different kite surf spots and all the various options we offer for you to learn kitesurfing whether it be private kite courses or group kitesurf lessons.